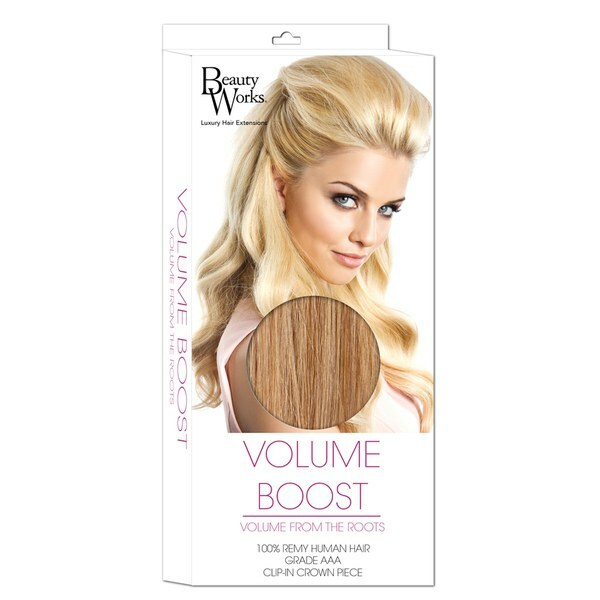 Maximise your style with the Volume Boost Hair Extensions from Beauty Works, the UK's leading brand of luxury, professional hair extensions highly coveted by stylists and celebrities alike. 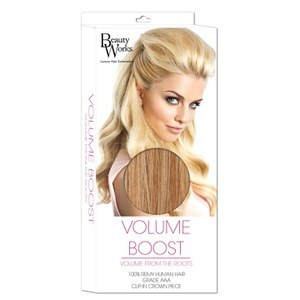 Designed to add volume and length to your locks, the easy to apply, clip-in hairpiece sits discreetly beneath your own hair, allowing you to add seamless volume to your roots and crown without the fuss of special tools or glue. Made from hand selected, 100% Remy cuticle retained human hair, which means you get the most natural looking, shiny locks, the lightweight hairpiece features a flat lace cap weft for easy application, and its secure comb has a protective silicone layer on each clip to cushion your natural hair and protect from breakage. - K.N. Reusable and can be heated, styled and washed just like your own hair. The cuticle retains the hairs natural shine, vitality and tangle-free nature throughout its lifetime.